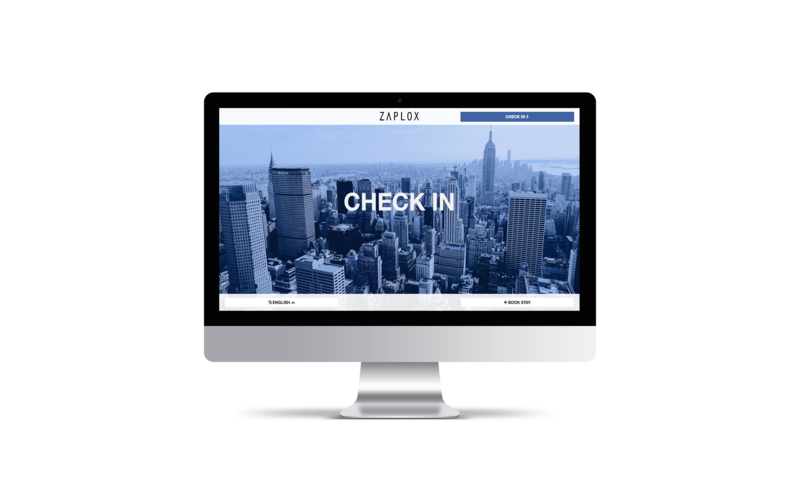 Zaplox Kiosk offers an alternative way for hotels to reshape the check-in experience. Instead of waiting in line at the front desk, guests can now conveniently check-in and print their own key cards by using the Zaplox self-service kiosk – with 24 hours availability. Whether you represent a high touch independent hotel or global hotel chain, this next generation kiosk is the ideal solution for all hotels that want to reduce front desk workload and relocate staff to focus on other tasks. By the same token, your guests will appreciate skipping the lines and 24/7 availability. At departure, the kiosk can be used to checkout and to review and pay for additional room charges. Zaplox Kiosk is a web-based application and can run on almost any type of tablet-based hardware with touch interface, giving the hotel the choice to select hardware that blends in with the hotel interior. Zaplox Kiosk integrates with the hotel’s PMS and lock system in real-time, and works regardless if your hotel has a mix of mobile-enabled locks and other key solutions. Zaplox Kiosk is fully customized for iOS and Android. Benefit from cost savings, increased security and eliminate waste of plastic cards. Easily create revenue generating offers that are customizable to fit various guest segments. Guests can access all services from one convenient app and staff is freed up to engage with guests. Contact us to learn more about Zaplox products and how they can benefit your hotel and keep guests coming back.